Color white signifies simplicity, purity, and innocence, in the same manner as Christian wedding known for its simplicity with love. Our grand range of Christian wedding cards exhibits the same simplicity endowed with marvelous designs and eye-catching invites. 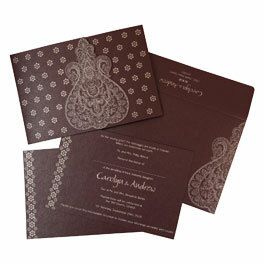 We at 123WeddingCards have hundreds of designs and layouts to choose from that aids your requirements. These invitations come with an option of customization which caters to your imagination and makes your dreams come true by implementing your own ideas. Our committed workforce crafts tags which not only compliments your lifestyle but are in complete sync with your vision of a complete Christian Invitation Card with matching designs and perfect color combinations. In addition to the wedding card, we offer many service catalogs like wedding fonts, wedding invitation wordings, printable symbols etc., which can be utilized in creating dazzling invites. For classic Christian invitations, our diverse range of invitations is customized and embellished to create a unique and stylish invitation for marriage. The key factor in our style of working is constant innovation with mindful thinking to come out with something next to the best in terms of cards. 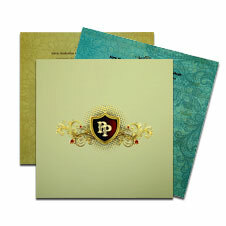 Our Christian wedding invitations cards design are elegant and hand-made. To avail vintage styled wedding cards we offer highly customized Rustic Country Wedding Invitations to make your wedding theme wild. Our team of expert designers & innovators provides such quality products which no one can ever beat. We offer 24X7 round clock service to assist you in every possible manner.